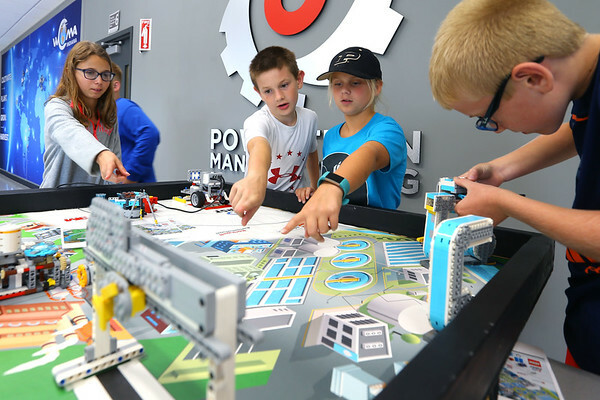 Fiat Chrysler American hosts a partnership between Tipton and Tri-central lego league on October 9, 2017. Emily Hartley, Aren Hoback and Kaitlyn Maruszwski come up with the same solution to operation of the robot at the same time. Kellen Hussong is rebuilding one of the structures that the robot knocked over.